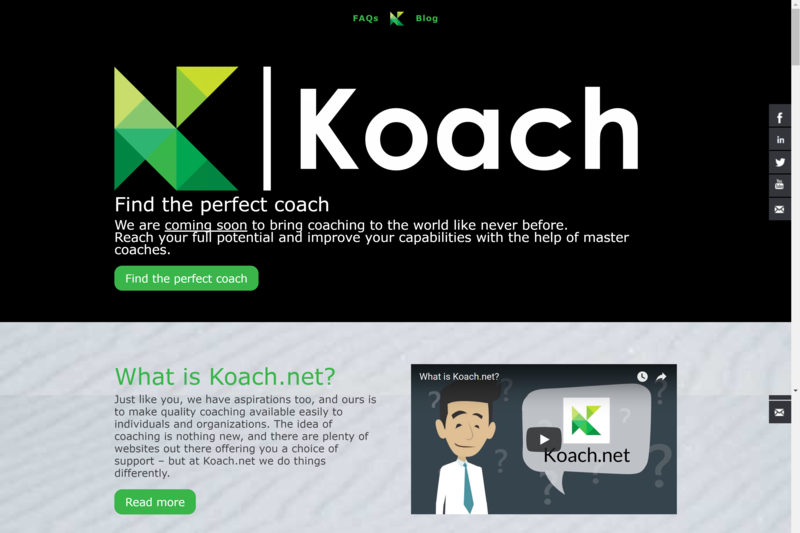 Koach.net is a business that is working to make quality coaching available easily to individuals and organizations. 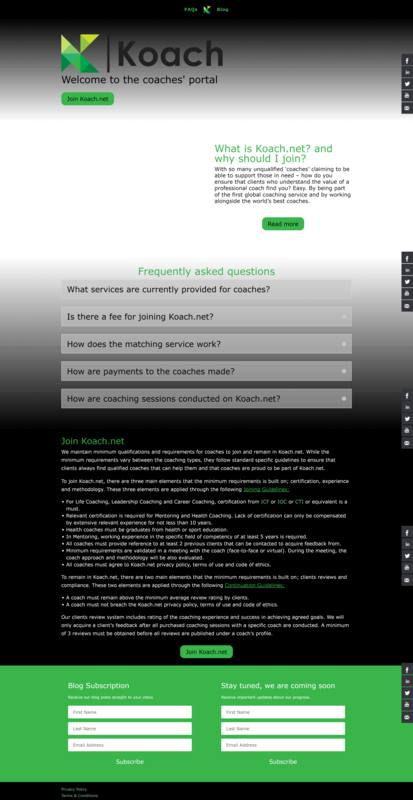 Koach.net enables you to find the perfect coach and to have face-to-face or virtual sessions personalized to your goals, schedules, requirements, language and budget. Koach.net is not limited by geographical boundaries, ensuring that they can connect you to coach that is right for you wherever you are. Your coach could be based in Colombia, The Netherlands, India or right around the corner from you. 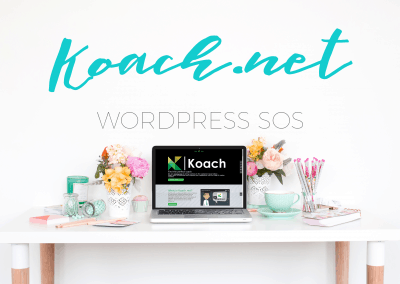 I began working with Koach.net in June 2017, when the website broke after a website update. Fortunately, they had a backup of their site saved (if you don’t have this at the moment, you absolutely NEED to set it up), and I was able to restore it almost immediately. After restoring the website to it’s original appearance and functionality, I was able to put a system in place to prevent this issue from happening again. I also implemented some SEO optimisation tools, significantly increased the site speed, and cleared unneccessary and potentially malicious code from the site. Over the following two months I worked closely with Koach.net to refine the appearance and functionality of their website, and make sure it aligned with their brand vision and functional needs. I consulted on some alternate page layouts that were more in-line with current best-practice, and implemented my recommendations. I was also able to provide training, so the in-house Koach.net team could replicate my results. I was delighted to work with Koach.net to get their site functioning efficiently, effectively and protected. I loved working with Koach.net, and would love to have the opportunity to work with them again on future website upgrades. 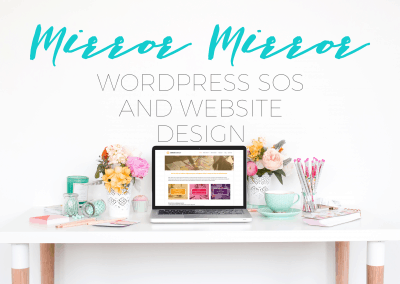 If you have a vision for your website, but you are stuck on the execution, please do get in touch. 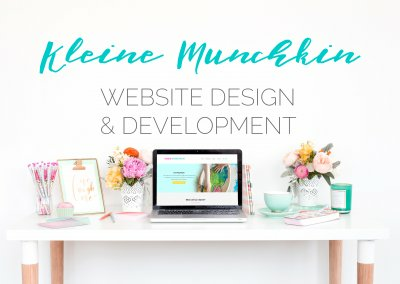 I’d love to work with you to help you build the website of your dreams. 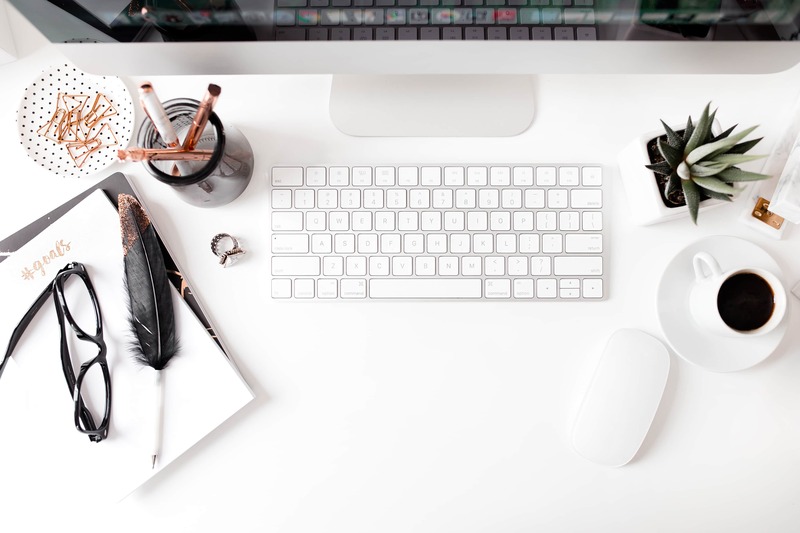 I offer full-service packages, including site design, implementation and ongoing managed hosting. 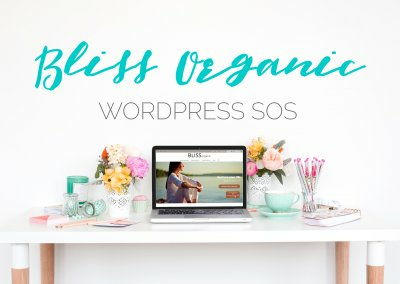 I also happily offer ad-hoc WordPress support, to help those of you who have started to DIY, and have found yourself stuck with the intricacies of building a WordPress website.